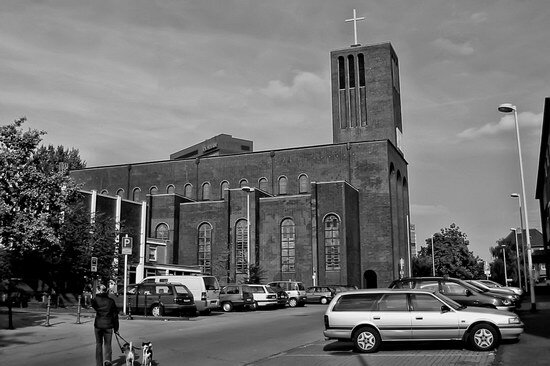 To balance things out, here’s a 2003 photo of the other church in Mülheim’s inner city, the catholic Marienkirche. I don’t know much about it, except that it was built in 1929 as a substitute for a smaller church and like the neighbouring protestant Petrikirche was also bombed out in 1943. It was rebuilt in 1948 and, well, it’s never been exactly a thing of beauty. In the background you can see one of the four highrises which dominate the inner city today.